TROY, MI--(Marketwired - November 03, 2015) - GlobalBusinessProfessor.com, the leading global business online education platform, has made available three On Demand Seminars featuring critical updates on Doing Business in Mexico. The seminars feature industries including automotive and aerospace and present practical tips to learn investment strategies, reduce risk of corruption and investigate opportunities for investment. 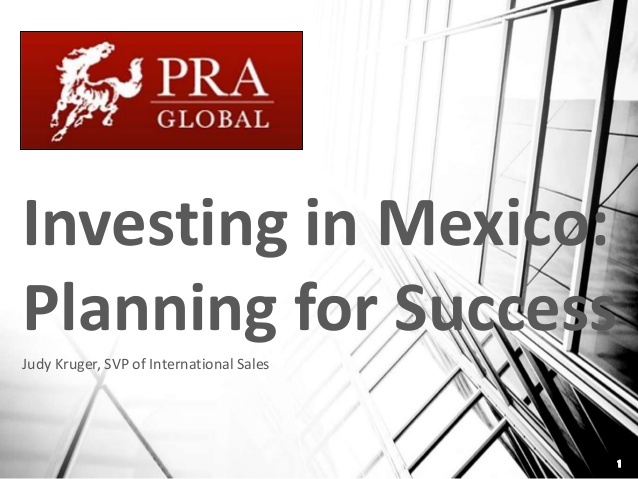 Learn the 5 strategies critical for success in Mexico by watching the 25-minute On Demand Seminar, "Investing in Mexico: Planning for Success", presented by Judy Kruger, Senior Vice President of International Sales, PRA Global. 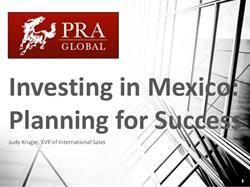 Kruger details how to explore investment opportunities, research costs, find the right location, hire and retain good workers and appreciate the Mexican culture. 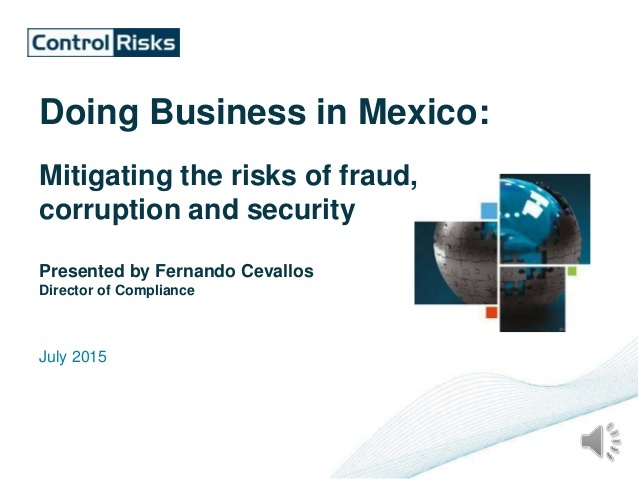 Learn how to reduce the risk of doing business in Mexico by watching Fernando Cevallos' 40-minute On-Demand Seminar, "Doing Business in Mexico: Mitigating the risks of fraud, corruption and security". Cevallos presents current and historical geographic maps of security risks, and he points out the locations where threats are greatest. He also details the unique security risks prevalent in 8 specific industries, including automotive. 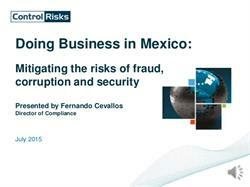 Cevallos concludes with the basic elements of a compliance program which can reduce risks. 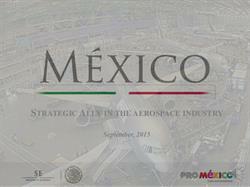 Exports from Mexico's aerospace sector have doubled in the last 5 years and reached 6.3 billion USD in 2014. 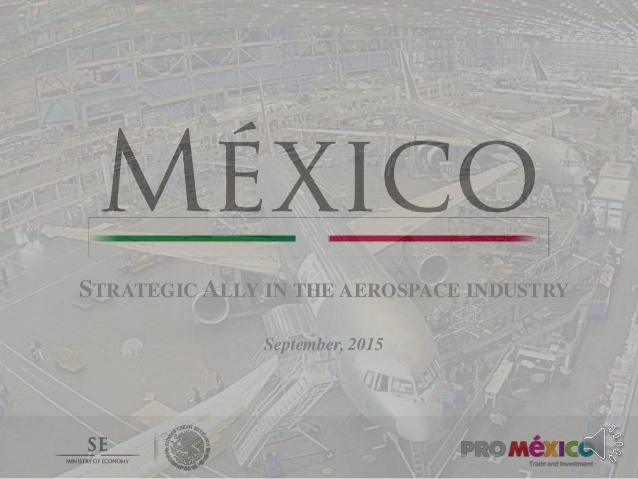 Learn about opportunities for investment by watching the On Demand Seminar, "Mexico: Strategic Ally in the Aerospace Industry", presented by Joel Enríquez, Trade Commissioner of Mexico in Quebec. The 15-minute seminar describes factors contributing to the exponential growth of Mexico's aerospace industry, including 110,000 engineering graduates annually. GlobalBusinessProfessor.com is the leading online education company helping corporate professionals and business school students learn practical, up-to-date international business skills. GlobalBusinessProfessor.com offerings include On-Demand Seminars from practicing experts around the world, Audio Interviews, online courses, reports, studies and international business eJournals. GlobalAutoIndustry.com is the leading global business intelligence source for the automotive industry, connecting the worldwide auto supplier industry with the resources to effectively do business globally. Through the web site, auto supplier executives can find insight, solutions and strategies focused on doing business in the world's top automotive markets.